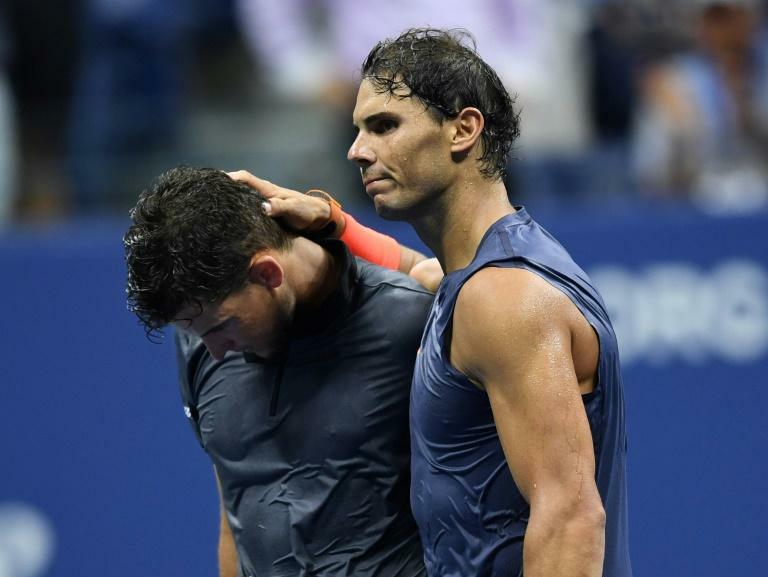 Defending champion Rafael Nadal survived an epic US Open quarter-final confrontation to defeat battling ninth seed Dominic Thiem 0-6, 6-4, 7-5, 6-7 (4/7), 7-6 (7/5) and reach the semi-finals for the seventh time. After suffering a first set 'bagel', Nadal had to battle back from breaks in the third and fourth sets before seeing off the first top 20 player he had faced at the US Open since 2013. "I suffered, that's the right word," said Nadal after playing his longest ever match at the tournament. "I said to Dominic I am sorry. He's a great guy, a close friend who will have many more opportunities to win the big titles. "He has a great attitude and is a great fighter." Thiem broke three times in a 24-minute first set, handing Nadal just his third 'bagel' at a Grand Slam. "I told myself 'wake up'," said Nadal. Nadal then recovered from being broken as he served for the second set in the ninth game with an immediate break back to level the contest. Del Potro reached the semi-finals for the third time, defeating John Isner 6-7 (5/7), 6-3, 7-6 (7/4), 6-2 and ending American hopes of a first men's champion at the event since 2003. 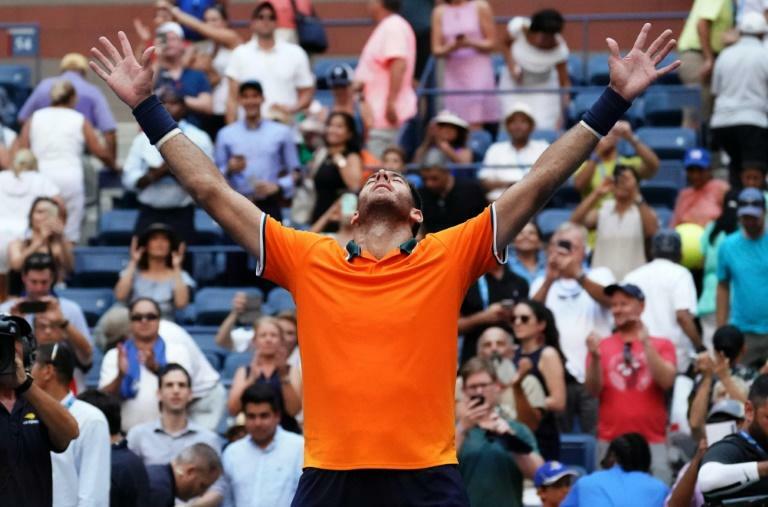 "To reach the semi-final again here in New York in my favourite tournament is very special to me," said Del Potro after his eighth win over Isner in 12 meetings. "To play John in these kind of matches, it's like an epic. "We fought the whole match and I survived with my serve which was key." "I had a shower, lay on the table and I didn't want to come back again. It was too hot to play tennis," he joked. "He's maybe playing some of the best tennis ever right now for him," said the American. Wednesday's quarter-finals will see two-time champion Novak Djokovic face Millman, the world number 55.